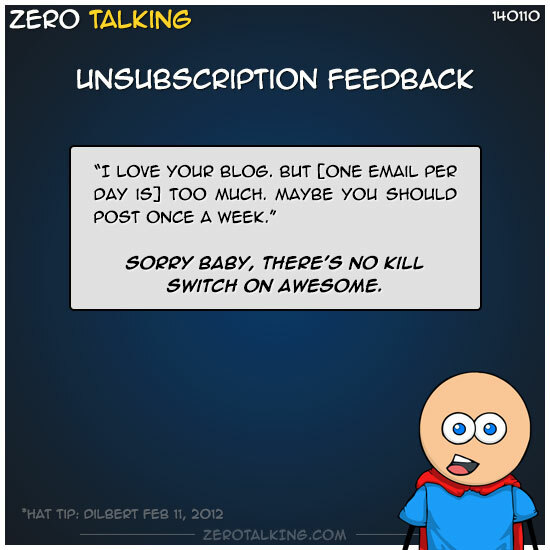 Sorry baby, there’s no kill switch on awesome. If one email per day (maximum) is too much, there’s nothing in the blog subscription contract that says you have to read every email as it comes in — or ever. It’s perfectly ok not to read all the non-personal/non-important email in your inbox. Really.